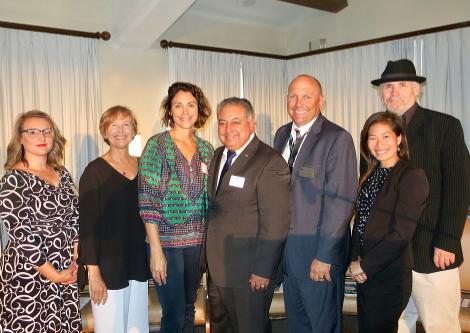 On September 24, about 240 members and guests of the Women’s Fund of Santa Barbara gathered at the Hilton Santa Barbara Beachfront Resort to hear presentations by their most recent grant recipients on the impacts of the $535,000 in grants bestowed last spring. An all-volunteer, collective donor group with nearly 900 members, the Women’s Fund combines the donations of its members into significant grants focused on the critical needs of women, children and families in south Santa Barbara County. Over the course of nearly a year, its Research Committee conducts in-depth research on nonprofit programs and projects and submits a ballot of finalists to the general membership for a vote on the ultimate grantees.